Getting your colour scheme right can make or break your project. Whether you’re picking your new brand colours or creating new business cards, you want a way to create easy colour schemes. You might turn to websites like ColourLovers or Paletton for inspiration. Why not? They’re both very good options. 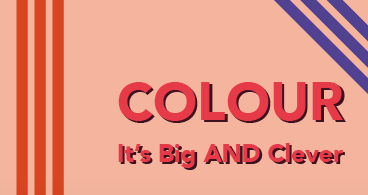 I used Paletton to come up with my own brand colour scheme. But there’s a tool in InDesign that can also help you find a more custom solution. By sampling colours from a photo, you won’t be using the same colour schemes as everyone else. And InDesign automatically chooses the shades that work well together. So let’s fire up InDesign and get started. You’ll need an image to start with. You could always choose a photo of your company HQ or something that sums up your brand. 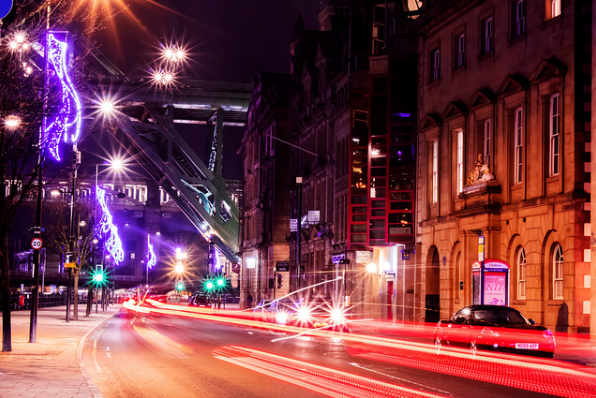 I’m using this image I took in December 2018 of light trails along Newcastle’s Quayside. The image I’m using – from my Flickr account! Create a new document in InDesign. Head to File > Place and drop the image into the document. Browse to the toolbox and choose the Colour Theme Tool. It looks like the eyedropper. In fact, click and hold on this tool and you’ll be able to access the regular Eyedropper Tool. With this tool, simply click on the photo to sample the colours. InDesign will do the rest. InDesign automatically selects colours from your image to create suggested palettes. 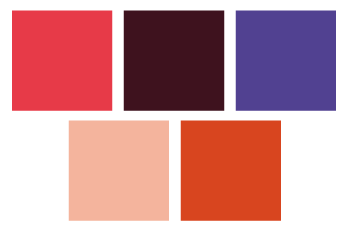 Click on the arrow to see four more alternative palettes, depending on the look you’re ultimately going for. 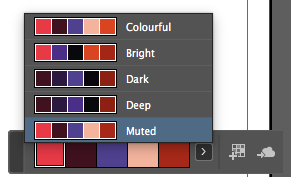 Click on the Add to Swatches icon to the right of the suggested colour palettes to ‘save’ the chosen palette. InDesign adds the new swatches within a folder so you can easily find them. It also gives the CMYK or RGB values of each colour, depending on your document’s colour mode. This is what my chosen theme would look like as colour blocks. Now you can go ahead and use your colours in a document. Remember, InDesign only saves palettes into the working document. You’ll have to save the swatches and load them into other documents if you need to work across documents with the same colours. And here’s a quick example of a document created using just those colours. You could also export the swatches for use in Illustrator and Photoshop. So there you have it! 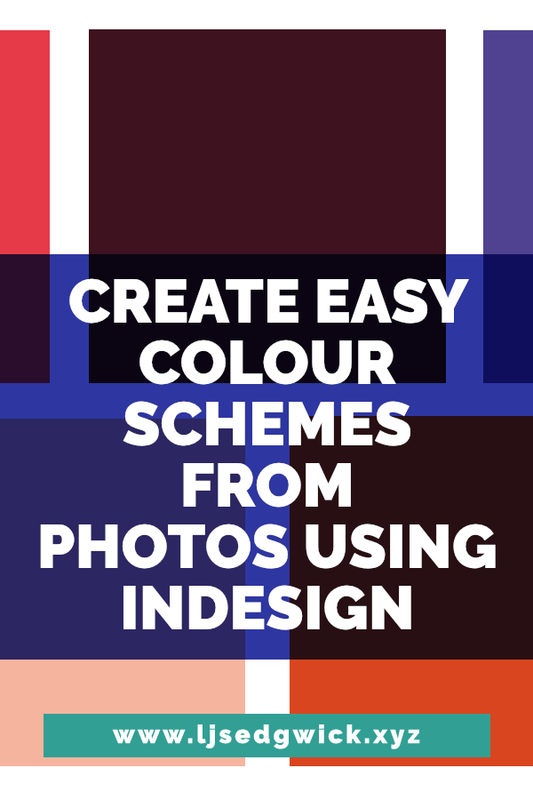 A simple way to make easy colour schemes using photographs in InDesign. The world is your colourful oyster! And if you liked this tutorial, you might also enjoy this swift walkthrough for boosting colours in Affinity Pro. 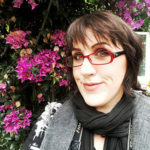 Want to learn how to write good blog posts quickly? Sign up below and I’ll send you my cheeky checklist and guide. I’ll also send you other blogging resources from time to time.